The number of children denied even a simple break has increased by a horrendous 25% to 5 million since 2005. 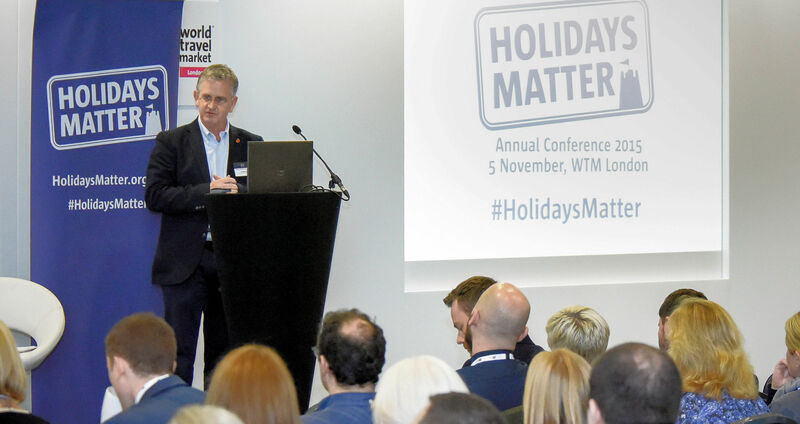 The Holidays Matter network held its annual conference at World Travel Market on Thursday 5 November 2015. My opening remarks cited some recent and eye-opening analysis of Office for National Statistics data by Professor David Gordon. I would like to welcome you to the 4th annual Holidays Matter Conference here in the centre of one of the world’s largest travel trade exhibitions. An appropriate venue for an organisation that sees the travel industry at the very core of its work. The Holiday Matters network currently consists of some 20 member organisations. Cumulatively these 20 organisations supported 150,000 people access a break last year with an estimated value of £5m. Although the Family Holiday Association has provided the initial support, we see the network and this conference as independent of the charity. It is a means of bringing like-minded organisations together to allow us share, to learn and to explore new avenues of working. That is the purpose of today. It is ten years since the Office for National Statistic last published a report that specifically referenced the numbers of families, because of the lack of income, that are excluded from holidays and day trips. Back in 2005 the Government told us that some 4 million children lived in families that couldn’t afford a break away from home and for the past decade we have been using that statistic. Since then we have been through the recession and the massive cuts in public expenditure during the last Parliament. If the ONS were to report today those figures from 2005 would surely have increased. While they don’t publish the figures they apparently still collect them. And that raw data is available to authorised researchers and I have here a paper from Professor David Gordon of the University of Bristol’s Centre for International Poverty Research Centre who, at our request, analysed the current relevant data. And the results are even more disappointing than I thought they were going to be. Professor Gordon’s analysis shows that the number of children affected has increased by a horrendous 25% to 5 million – that’s almost equivalent to the population of Scotland. And that figure can only get worse. In three weeks, on the 25 November, George Osborne will use his Autumn Statement to announce a further £20bn of cuts to public expenditure. That’s £20bn on top of the already announced £17bn which included the highly controversial £12bn cut to Tax Credits for the least well-off. No matter your political opinions, the inescapable conclusion is that life for many more people is going to get harder and so too for the organisations and people who seek to support them; if, indeed, they are still around to provide support. So the problem of lack of access to even the most simple of breaks has grown over the past 10 years and looks set to get worse. And yet over that same period more and more research has shown the benefits a break can provide, more and more organisations have seen how their beneficiaries gain from social tourism and the domestic tourism industry is waking up to the economic benefits from mobilising these millions of people who are currently excluded from their business. We know that there will be no magic wand from Government, no sudden replication of the huge state-sponsored schemes we see across Europe. But we also know that the work we are doing makes a real and lasting difference to the people and communities in which we work, the evidence that work generates can and does inspire others to join with us. Today’s purpose is three-fold – it’s about sharing our knowledge, learning from the experience of others and exploring together how we can improve what we do and how we do it. I’m looking forward to taking part in what I am sure will be a really stimulating day. Later today we will hear from Catherine Creed from a Northern Irish Community organisation CRiS, Sue Wilkinson from the National Trust and Professor Nigel Morgan of Surrey University. We have, over the years, developed a mutually beneficial relationship with both Visit England and Visit Scotland. Our first meeting with Visit Scotland was at our social tourism seminar at the Scottish Parliament in Holyrood in 2009.